According to an explosive report in Bloomberg, US spies and large corporate IT departments have had an open secret for years: the servers supplied by US hardware giant Supermicro for Elemental, Inc were sometimes infected with tiny hardware backdoors by Chinese spies during their manufacture; these superminiature chips were wired into the systems' baseboard management system and were able to accept covert software patches that would allow Chinese spies to utterly compromise both the servers and the networks they were connected to. Elemental had a formal partnership with In-Q-Tel, the CIA's investment arm, which gave it an air of trustworthiness that allowed it to sell billions of dollars' worth of hardware to US entities. The list of compromised entities is terrifying: Apple, Amazon, the Pentagon, DoD drone operations, Navy battleships, NASA, Congress and the Senate, even Bloomberg itself. All of these entities officially deny that they were ever compromised by the attack and claim that they have no knowledge of these hardware backdoors -- but Bloomberg's Jordan Robertson and Michael Riley cite multiple anonymous insiders and former insiders who say that the attack came to light in 2015 when Apple first discovered unusual traffic on its network and that in the years since, there have been mass teardowns of data-centers and divestments from Supermicro and Elemental. The exception is Amazon, who actually acquired Elemental after they were made aware of the hack. 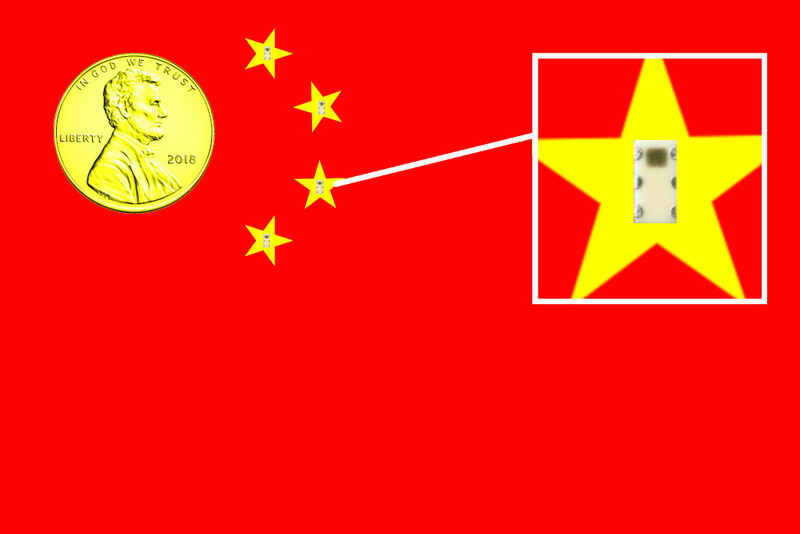 According to anonymous US spies interviewed by the Bloomberg writers, US intelligence operatives were able to identify the two Supermicro subcontractors in China where the motherboards were doctored, and learned that the managers in these factories with bribed, and then threatened, by the People's Liberation Army. The Chinese government also denies that this took place. Early generations of the backdoor chips were the size of a rice-grain, disguised as an innocuous signal-conditioning chip. Later generations were even smaller -- the size of a pencil-tip -- and could be sandwiched between the fiberglass layers of the motherboards.